Think you’re fit to become a dive leader? NAUI’s FIT program will test your skills and tell you where you stand. This mandatory program will introduce you to NAUI’s standards and procedures, and give you an overview of how NAUI educates divers. It will show you how to instruct and lead the NAUI way using classroom presentations, confined and open water training, testing, and evaluations. – NAUI Instructor Crossover Course (ICC). skill and other performance evaluations, critiques and counseling to ensure they are aware of their state of preparedness for NAUI membership and continued leadership training. Age. Minimum age is 18 years of age prior to the start of training. Certification/Experience/Recognition of Prior Learning (RPL). Certified as a NAUI Scuba Diver or the equivalent. Certification as a NAUI Rescue Scuba Diver or the equivalent. Certified as a NAUI Master Scuba diver or equivalent. Certified in NAUI First Aid for Dive Professionals or equivalent. Certified in NAUI Oxygen Provider or equivalent. A minimum of 25 logged open water scuba dives with a minimum of 12.5 hours bottom time. Dives shall be varied in environment, depth, and activities. Other agency leaders who meet all prerequisites may attend a NAUI FIT Program. The instructor is to ensure adequate student knowledge and capability before any open water training and shall use skill or other evaluations to do so. One open water dive (which does not count toward the minimum number of dives required for the course) may be used as a screening and evaluation dive. This is not required when the student’s diving proficiencies are well known to the instructor. Equipment. Candidates shall furnish and be responsible for the care and maintenance of their own diving equipment. The instructor shall initially assist candidates in checking all their gear to ensure it is adequate and in proper working order. Medical Approval. Verification of good physical condition as documented by a medical examination and unconditional approval for diving by a licensed physician within the preceding 12 months. In no event will medical approval be accepted wherein the physician signing the certificate is the student. Ratios. The instructor is to accompany students during the first training dive in excess of 60 feet (18 m). Academics (estimated hours). 20 hours. The minimum number of open water dives is one. The maximum depth for any open water dive during this course is 130 feet (40 m). No dives are to require actual staged decompression. However, simulated staged decompression may be added to the ascent of a no-required-stop dive. Any simulated decompression time spent deeper than 25 feet (7.6 m) must be included in the actual dive time. Swim underwater 25 yards (23 m) on one breath; no dive or push-off. Survival swim for 20 minutes. Skin Diving (confined or open water). * To be performed wearing at least a wetsuit jacket, a weight system adjusted for proper buoyancy, mask, fins, and snorkel. Kick 900 yards (823 m) nonstop, demonstrating effective technique. Legacy Skills Workshop. Not required but may be presented as a challenge to the candidate to demonstrate exceptional skill and ability underwater. Skin Diving Ditch & Recovery. 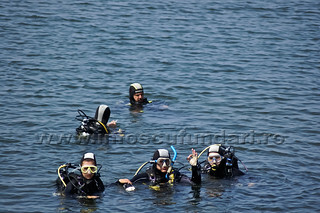 Scuba Diving (confined water). * To be performed wearing a scuba unit and BC in addition to minimum skin diving gear. – Buddy breathe while swimming horizontally underwater for four minutes. – Alternate shared air horizontal underwater swim for four minutes. – Scuba Ditch and Recovery. Scuba Diving (open water). * To be performed wearing a scuba unit and BC in addition to minimum skin diving gear. – Remove and replace the weight system at the surface. – Remove and replace the scuba unit at the surface. – Remove and replace the weight system on the bottom. – Remove and replace the scuba unit on the bottom.o Buddy breathe while stationary on the bottom. – Alternate shared air ascent from a minimum of 15 feet (4.6 m). – Emergency Swimming Ascent from a minimum of 15 feet (4.6 m). – Proper entries and exits. 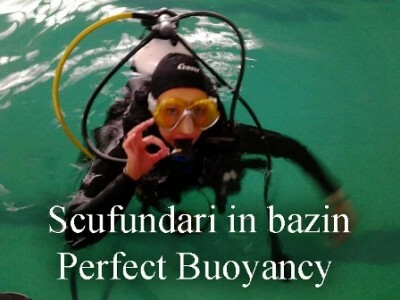 – A weighting/buoyancy check upon entry, with proper control of buoyancy thereafter. – Surface dives, underwater swimming and surfacing. – Regain primary regulator from behind the shoulder, replace and clear. – Minimum of one presentation. – Minimum of one presentation teaching confined water, skin and scuba skills. – Minimum of one presentation teaching open water, skin, and scuba skills. NAUI FIT Program pret: 2.000 Lei (TVA inclus) / curs / persoana.